SOURCE: NHGRI Controversies over gene patents often ignore the lack of evidence that they impede basic research. The more important concern may be the negative impact of the push to commercialize science. Human gene patents have stirred social controversy for decades. People have marched in the streets decrying the evils of “patenting life.” National and international agencies have issued reports calling for a range of reforms. Patient groups have instigated legal action aimed at overturning key patents. And a variety of politicians have called for a ban on the practice. In the United States, for example, there was a 2007 bill, the Genomic Research and Accessibility Act, which sought to ban gene patents. In my home country of Canada, a Parliamentary Standing Committee on Health suggested a similar prohibition. So, why all the fuss? 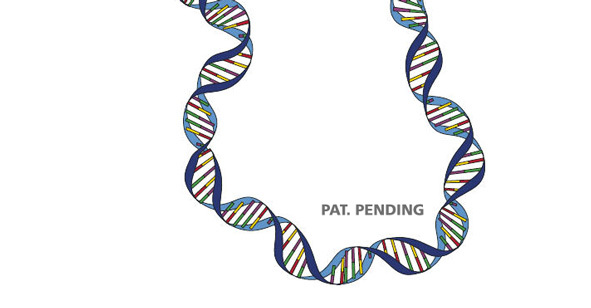 While the concerns associated with gene patents are varied, one has had the most policy traction: the idea that patents on sequences of genetic information hurt research, especially upstream, basic research. The worry is that patents will hurt science by making it difficult to acquire the rights to all necessary research inputs. Research will slow, become more inefficient and expensive—or researchers will simply avoid doing research on patented, yet scientifically valuable, genes. At first blush, all this policy activity seems to make sense: a logical response to a profound social problem. But there is a hitch. There is little evidence that the problem exists. There is lots of social angst, but no good data showing a widespread patent thicket/anti-commons phenomenon. Moreover, the gene patent question may actually distract us from more important problems related to the distorting effects of commercialization on basic biomedical research. Through all this public dialogue and political debate, the practice of gene patenting has marched forward more or less unabated. There has been some tweaking of patent policy—such as a 2001 tightening of the patent criteria requiring inventors to disclose a clear use to the gene—but, in general, every jurisdiction embraces the practice. You can get a gene patent in Japan, Canada, the United Kingdom, all through continental Europe and, of course, in the United States. Calculations estimate that there are well over 40,000 patents issues covering over 20 percent of the entire human genome. Given all this data and commentary, one can only speculate as to why the anti-commons/patent thicket argument continues as the justification for reform. It does have great intuitive appeal, and it seems a logical consequence of the existence of numerous overlapping patents. There have also been a number of high-profile controversies that seem to confirm the concern, most notably when the company Myriad Genetics enforced patents on a gene strongly correlated with dramatic risks of breast cancer. But as all good scientists and clinicians know, anecdotes are not good evidence—especially when there are more systematic data pointing in the opposite direction. In addition, we should not conflate the issues. The Myriad controversy, which has been the dominant gene patent cautionary tale, is not really an anti-commons/patent thicket story. The Myriad case is more about patient access to tests and the development of downstream technologies. These are tremendously important issues, for sure, but not evidence of a breakdown of the upstream research environment. I am not some rabid, pro-industry patent supporter. On the contrary, much of my career has been focused on an exploration of the concerns associated with the commercialization of the research environment. In fact, this is one of the reasons I get frustrated with the patent debate. While the apparent disconnect between policy concern and evidence is a significant dilemma on its own, I think there is a bigger problem. By focusing on gene patents, we seem to be downplaying other concerns associated with the commercialization ethos that increasingly permeates the research environment. distort research results and corrode public trust. For example, a 2009 study by Hong and Walsh concluded that “commercial linkages and increased pressures from scientific competition” was a predictor of increased data withholding. This study also found that, in the realm of biology, data withholding was not correlated with patenting. Commercialization pressure, not patenting, is the problem. In many respects, patents are just a tool in the commercialization process. How many of the documented issues associated with commercialization and industry involvement will go away if patents are banned? Might some get worse? If patents are removed and commercialization pressure remains, might scientists become even more secretive and firms more aggressive? To be fair, not all the policy reports focus on the “patents hurt research” theme. The recent recommendations by the SACGHS seem more concerned with the downstream impact of patents on access and the development of genetic technologies. And the lack of an observable problem may only be temporary. As technologies move closer to the clinic, patents may become more valuable and, perhaps, litigation and aggressive enforcement more common. But, at the current time, we need to recognize that despite all the noise, there is still no solid evidence that gene patents hurt basic research. This whole debate also engages the interesting question of how much “evidence” should be required to justify policy change. If patents are viewed as a “right” owed by liberal democratic societies to inventors, the evidentiary hurdle might be quite high. You need to muster lots of evidence if you are going to monkey with a “right.” But if patents are a “privilege”—and I think they are—granted by society for the good of society, the evidentiary hurdle might be lower. Indeed, one could argue that a society should have some flexibility to try different strategies in the hope of maximizing the benefits of the innovation process. But even in this context, arguments for reform must be based on an honest assessment of available evidence—not on assertions that conflict with the facts. There are, undoubtedly, problems with the current intellectual property system. And there are interesting philosophical arguments about the appropriateness of allowing patents on naturally occurring entities like genes—arguments that the courts in both Canada and the United States have largely rejected. As such, the patent debate seems likely to continue for years to come. And because it is surfacing in other domains such as stem cell research, we need to get our policy arguments in order. We need more methodologically robust research on the true benefits and harms of patents. This will allow for a more informed debate on the fundamental patent tradeoff: that is, the granting of a limited-term monopoly for the benefit of society. Timothy Caulfield, LLM, FRSC, is the Canada Research Chair in Health Law and Policy, and a Professor in the Faculty of Law and School of Public Health at the University of Alberta. For example, a 2009 study by Hong and Walsh concluded that “commercial linkages and increased pressures from scientific competition” was a predictor of increased data withholding. This study also found that, in the realm of biology, data withholding was not correlated with patenting. Commercialization pressure, not patenting, is the problem. In many respects, patents are just a tool in the commercialization process. How many of the documented issues associated with commercialization and industry involvement will go away if patents are banned? Might some get worse? If patents are removed and commercialization pressure remains, might scientists become even more secretive and firms more aggressive? To be fair, not all the policy reports focus on the “patents hurt research” theme. The recent recommendations by the SACGHS seem more concerned with the downstream impact of patents on access and the development of genetic technologies. And the lack of an observable problem may only be temporary. As technologies move closer to the clinic, patents may become more valuable and, perhaps, litigation and aggressive enforcement more common. But, at the current time, we need to recognize that despite all the noise, there is still no solid evidence that gene patents hurt basic research. This whole debate also engages the interesting question of how much “evidence” should be required to justify policy change. If patents are viewed as a “right” owed by liberal democratic societies to inventors, the evidentiary hurdle might be quite high. You need to muster lots of evidence if you are going to monkey with a “right.” But if patents are a “privilege”—and I think they are—granted by society for the good of society, the evidentiary hurdle might be lower. Indeed, one could argue that a society should have some flexibility to try different strategies in the hope of maximizing the benefits of the innovation process. But even in this context, arguments for reform must be based on an honest assessment of available evidence—not on assertions that conflict with the facts. There are, undoubtedly, problems with the current intellectual property system. And there are interesting philosophical arguments about the appropriateness of allowing patents on naturally occurring entities like genes—arguments that the courts in both Canada and the United States have largely rejected. As such, the patent debate seems likely to continue for years to come. And because it is surfacing in other domains such as stem cell research, we need to get our policy arguments in order. We need more methodologically robust research on the true benefits and harms of patents. This will allow for a more informed debate on the fundamental patent tradeoff: that is, the granting of a limited-term monopoly for the benefit of society. Timothy Caulfield, LLM, FRSC, is the Canada Research Chair in Health Law and Policy, and a Professor in the Faculty of Law and School of Public Health at the University of Alberta.